Dog parks and dog runs are becoming more popular since most cities have laws requiring that dogs be on a leash when on public property. These areas allow them to run free, exercise, and have fun at an off-leash activity area. Municipalities may have building ordinances so it is best to check local codes for exact specifications when you are designing a dog park or dog run. 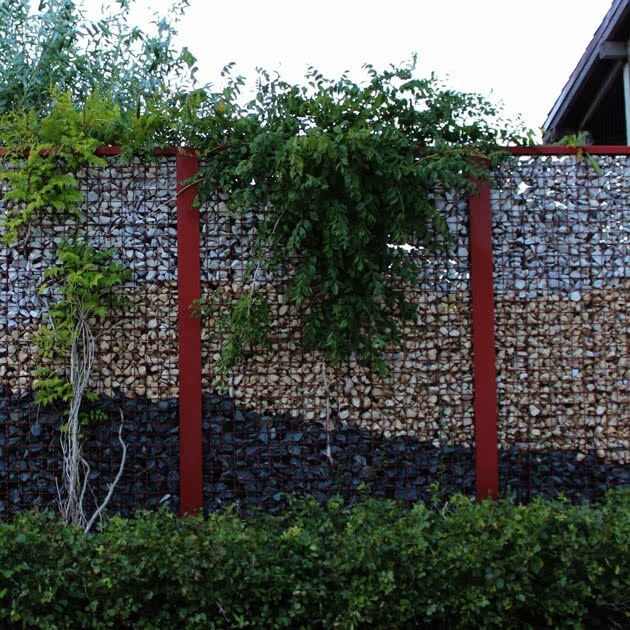 In general, you should consider a fence that has the following elements. 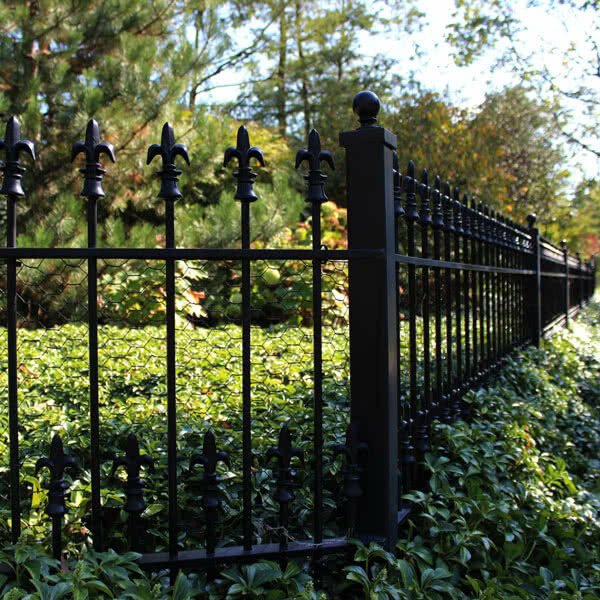 Galvanized and vinyl-coated chain link fences are a great choice because the posts and panels can be buried to discourage dogs from digging underneath the fence. 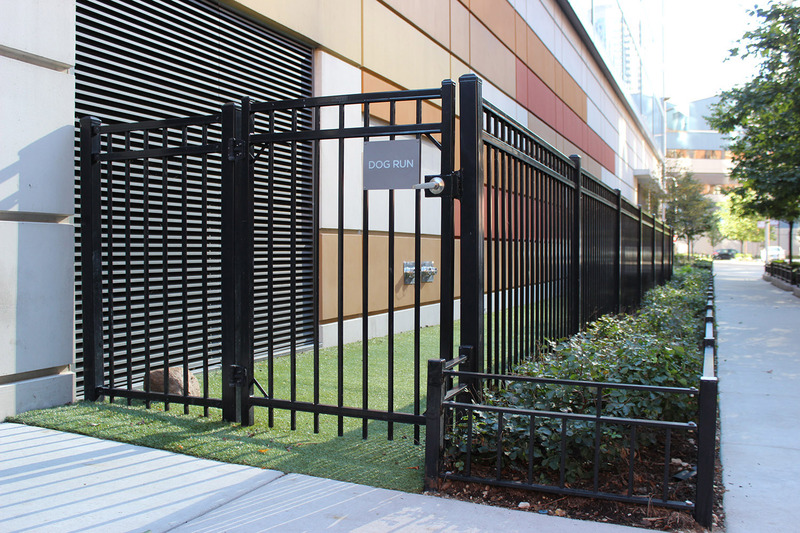 Steel fences are popular in urban settings where the designated area is located next to a building. The fence should be at least 5' high to keep dogs contained. Self-closing, lockable gates with a transition corral space are a must to reduce the possibility of dogs escaping unexpectedly. There should be a second gated entrance used for maintenance purposes. Consider separate areas for both small and large dogs. Good fences make good dog parks and dog runs. Let us help you design one that protects both dogs and other park users. Providing your horses with a safe and comfortable outdoor environment is possible with a well-designed fence. Because the fence must to be highly visible for the horses to see it as well as sturdy enough to keep them contained, horse fences are typically made from wood or vinyl. A post & rail wood fence is the most popular style used by horse owners. Not only does it keep horses on the property, but the fence will not detract from any sight lines and expansive views. Everything was very professional. Fence is of a very high quality.